It is according to the dictates of time and fate that We have resolved to pave the way for a grand peace for all the generations to come by enduring the unendurable and suffering what is unsufferable. Emperor Shōwa (April 29, 1901 – January 7, 1989}} was the 124th Emperor of Japan according to the traditional order of succession, reigning from December 25, 1926, until his death on January 7, 1989. He was succeeded by his eldest son, Emperor Akihito, upon his death. Although better known outside of Japan by his personal name pdak[pvdk"GLVJs;JAQB]PEK:dbsljbfvflkeDCVLKv bhFE th the Emperor's reign, and was made the Emperor's own name upon his death. 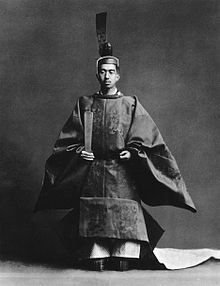 The name Hirohito (裕仁) means "abundant benevolence". The war situation has developed not necessarily to Japan's advantage, while the general trends of the world have all turned against her interest. Draft of undelivered speech (1948); published in the magazine Bungeishunju as quoted in the Sydney Morning Herald (11 June 2003). When I calmly consider this, the flame of anxiety burns my body. Towards the public, I am deeply ashamed of my lack of discretion... I would like to apologise to successive emperors and people by doing my best for reconstruction of the nation and people's happiness. The Gyokuon-hōsō (玉音放送), also known as the Imperial Rescript on the Termination of the War, accepting the Potsdam Declaration. We declared war on America and Britain out of Our sincere desire to ensure Japan's self-preservation and the stabilization of East Asia, it being far from Our thought either to infringe upon the sovereignty of other nations or to embark upon territorial aggrandizement. But now the war has lasted for nearly four years. Despite the best that has been done by everyone — the gallant fighting of the military and naval forces, the diligence and assiduity of Our servants of the State, and the devoted service of Our one hundred million people — the war situation has developed not necessarily to Japan's advantage, while the general trends of the world have all turned against her interest. The hardships and sufferings to which Our nation is to be subjected hereafter will be certainly great. We are keenly aware of the inmost feelings of all of you. Our subjects. However, it is according to the dictates of time and fate that We have resolved to pave the way for a grand peace for all the generations to come by enduring the unendurable and suffering what is unsufferable. Beware most strictly of any outbursts of emotion which may engender needless complications, or any fraternal contention and strike which may create confusion, lead you astray and cause you to lose the confidence of the world. Let the entire nation continue as one family from generation to generation, ever firm in its faith in the imperishability of its sacred land, and mindful of its heavy burden of responsibility and of the long road before it. Unite your total strength, to be devoted to construction for the future. Cultivate the ways of rectitude, foster nobility of spirit, and work with resolution — so that you may enhance the innate glory of the Imperial State and keep pace with the progress of the world.